Rome is a metropolitan city full of endless things to do and home to incredible historical landmarks such as the Colosseum and the Vatican. You could spend years in the city and still discover new beautiful places everywhere you go. 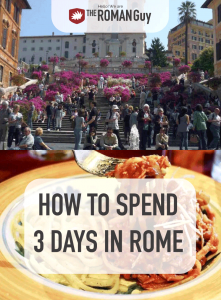 In my opinion, there are three main areas to hit when you’re in Rome: the history, the food and the culture. So, how do you balance all of this in just three days in Rome? I’ve spent over 10 years of my life in Rome. I hold dual American and Italian citizenship. If I were headed to Rome next week for the first time, this is how I would plan my visit. The Eternal City is filled with artifacts, gems, monuments and attractions. Why tackle it all on your own when an expert guide can show you around? 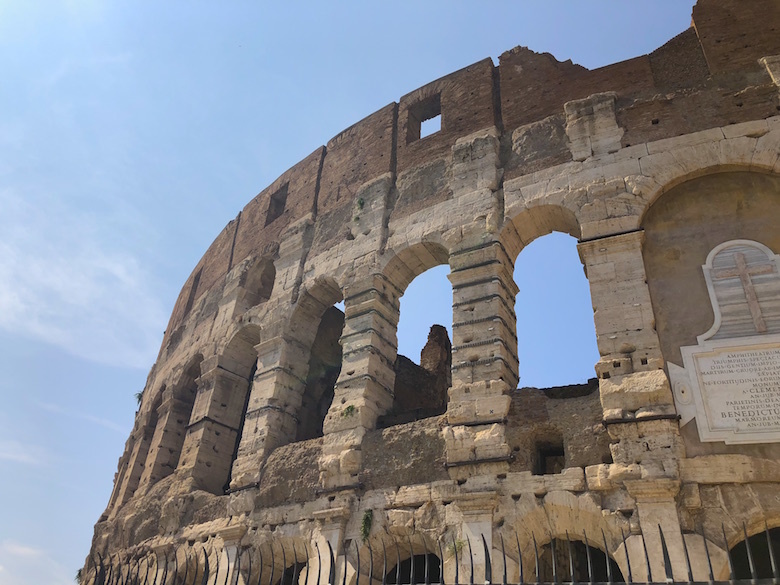 Check out our selection of Rome tours, all led by local guides who know the ins and outs of the city. I really love getting an early start on my first day. If you’re flying from Europe, definitely take the earliest flight you can or else you won’t step outside of your hotel until the evening. If you’re flying transatlantic, you should avoid drinking too much or watching too many movies. Try to get some sleep and arrive early. Time to get to your accommodation to drop your luggage and begin your Roman adventure. There are a few options for airport transports. If you’re on a budget, you can take a train from Fiumicino Airport to the center of Rome. If you have ability to book a private transfer, however, that’s my best recommendation. Traveling in a climate-controlled, punctual vehicle that will drop you right at the door of your hotel definitely relieves you of the burden of finding your own way to your hotel. Of course, taxis and Uber are available, yet a private transfer offers the most bang for your buck. Uber in Italy is a bit tricky. Getting a private transfer from the airport is a fool-proof way to get to the city center after your flight. And, who wouldn’t want to come down to baggage claim and be greeted by a driver holding a sign with your name on it? I like hotels, but I also like Airbnb. Regardless of where you stay, arrange it so you can leave your bags at your hotel or residence upon arrival. That should be a non-negotiable for you. If that isn’t available, search elsewhere. I normally plan that I’ll be at the hotel or residence 1.5 hours after my flight lands. If there are no delays and you’re quick at the airport, it’s normally perfect. Lunch in Rome doesn’t start until 12:30 or even 1:00 pm. This should give you about an hour to walk around your neighborhood and take a look out for grocery stores, bars, restaurants and enotecas/pubs. In Italy, a bar is not where you get drinks, but where you get coffee and breakfast. An enoteca is where you can buy and/or drink wine. Very important. We have extensive restaurant recommendations and you should be able to find places we recommend near you. When you are only in Rome for three days, you really need to hit the ground running and what’s better than the Colosseum on your first day? You can do it alone, but honestly tours of the Colosseum and Vatican are practically mandatory. The sites are so crowded and poorly labeled that a good tour makes all the difference. Our tours access many restricted areas that the general public cannot enter. Unsure, which Colosseum tour to take? 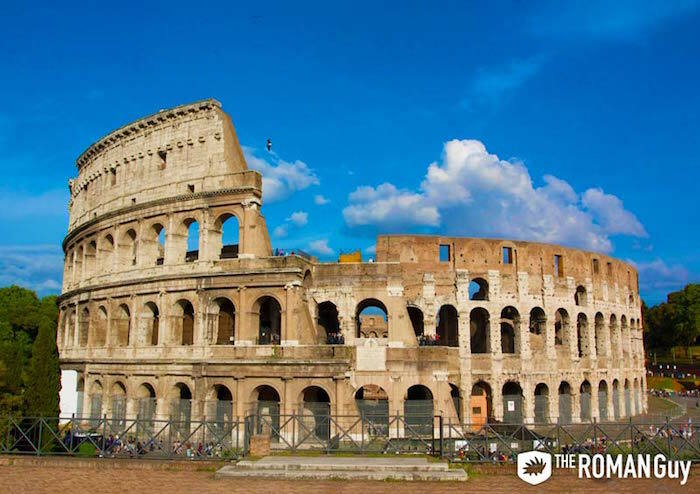 Check out our break down of the best Colosseum tours. You most likely haven’t showered yet, so after your tour, head back to your residence to freshen up, but be quick. You’re probably exhausted, and if you sit on your bed you may fall asleep. Too much to do in Rome to sleep. We recommend tons of places for a drink, but if you want to keep yourself awake and don’t have a tight budget, I recommend The Terrace at Eitch Borromini. The view here is unbelievable. Looking for other options for aperitivo? 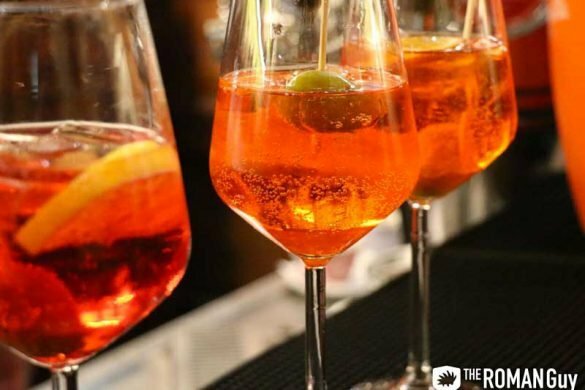 Check out our guide to the best aperitivo in Rome. First day? Somewhere relaxed where you can have a drink and some local plates is right for you. 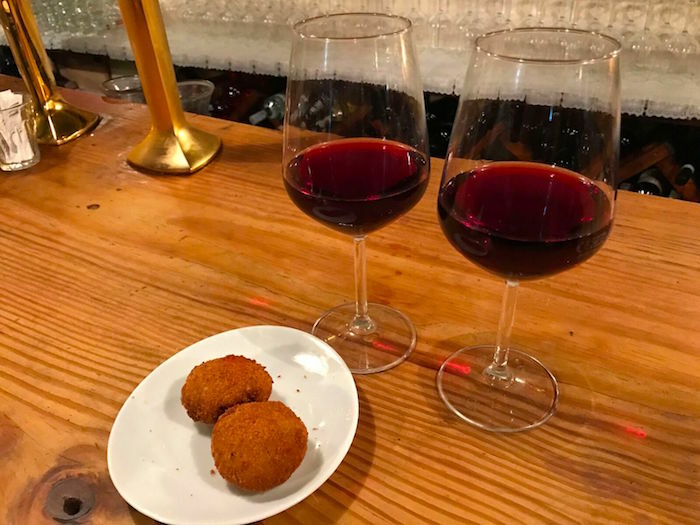 I like Antica Enoteca near the Spanish Steps. It is a casual place that has tons of wine by the glass or bottle, but don’t take casual meaning that you can wear sweatpants. Jeans and a shirt work, but the beauty of Italy is that you can always dress up. Bring a sports coat or blazer, or five, and fit in with the locals. This Enoteca is near the Spanish Steps which is super posh. In July you could re-think the blazer, but I never leave the blazer at home. Don’t stay out too late, you have an early day tomorrow! Day 2 – Vatican, Afternoon Snooze and Shopping! This may seem a bit early, but the Vatican can be a nightmare. It is best visited as early as possible. We have a range of early entry Vatican tours including our Vatican Gold Tour that enters 30 minutes before 99% of other tour companies and 90 minutes before 100% of solo visitors. 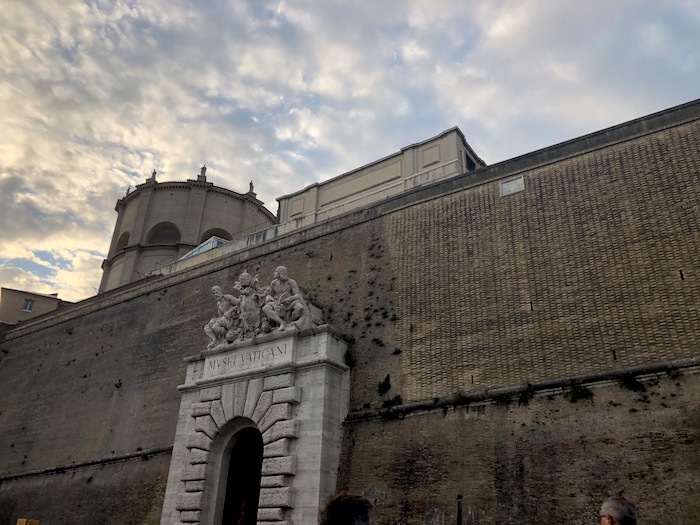 Depending on the tour you choose, you could have seen the Sistine Chapel, St. Peter’s Basilica and most or some of the Vatican Museums before most people enter the front doors. Depending on which tour you take will affect the rest of your day, but let’s assume you took a longer tour and finished at 11:00 am. If you finish earlier then take a nap! I am a big fan of off the beaten path and Testaccio Market is just that. Head over there and taste everything! Avoid getting a plate to yourself and instead split everything with your travel partners. Definitely get a panino at Morde e Vai. There is also a Vino Sfusi place where you can grab a glass of local wine for 1.50€ more or less. Have a couple.. You’re on vacation! After, feel free to walk around or take a 90 minute snooze. You have a long night ahead of you. I get that this may be getting too commercial for you, but honestly your chances of finding the right places to eat are less than 50/50. You also aren’t learning anything about the local culture. 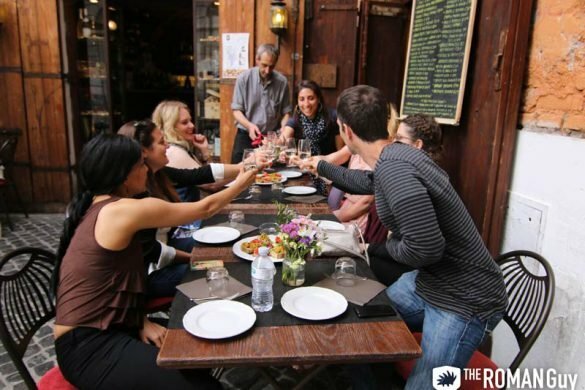 Joining a food tour is fun, you get to meet people and learn a ton about local food, recipes and cuisine. Not only that, but you make instant drinking buddies. 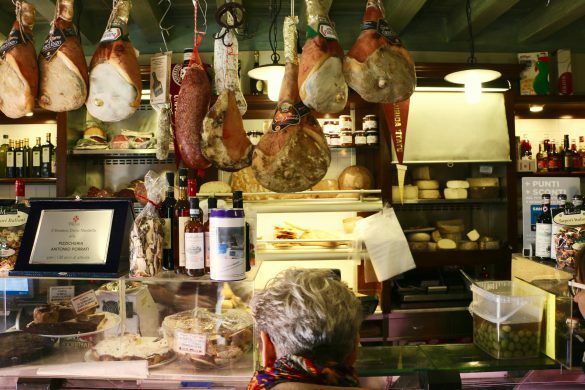 Check out our Trastevere Food Tour for the full experience. You’ll be finished around 8:30 pm or 9:00 pm and from there, it is up to you if you want to continue the night or head to bed. Day 3 – Walk in the Park or More to See? That means “cappuccino, croissant and fresh juice sitting down.” I’ll be honest, I get mine standing up 99% of the time, but my wife is good at talking me into paying extra for table service. By now, you’ve definitely scoped out a few quaint piazzas that are perfect for coffee in Rome. Pick one of them and don’t be rushed. Nobody “drops the check” in Italy. I love walking with my kids in Villa Borghese. Depending on the season, there are merry-go-rounds, bounce houses, vehicle rentals and even a lake where you can rent boats. Spend your late morning walking around this park and soaking it in. Be sure to visit “Il Pincio” for a great view point over Piazza Del Popolo. 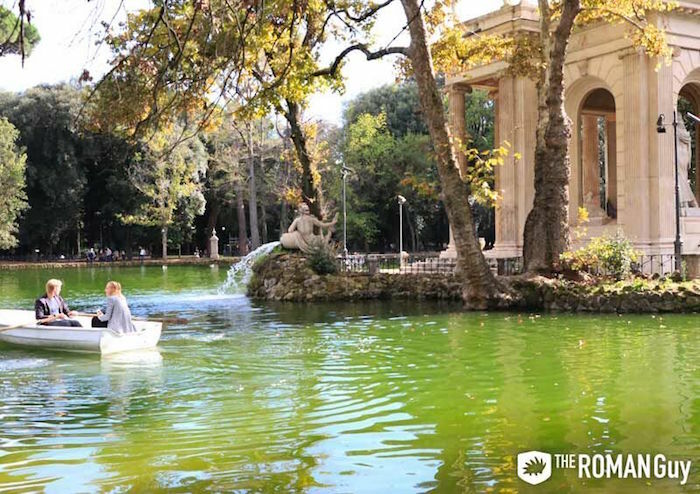 If you feel like you still need to see more with a guide, we offer an amazing Private Tour of Villa Borghese, which is my personal favorite museum in Rome. I love eating, drinking wine and Monti. 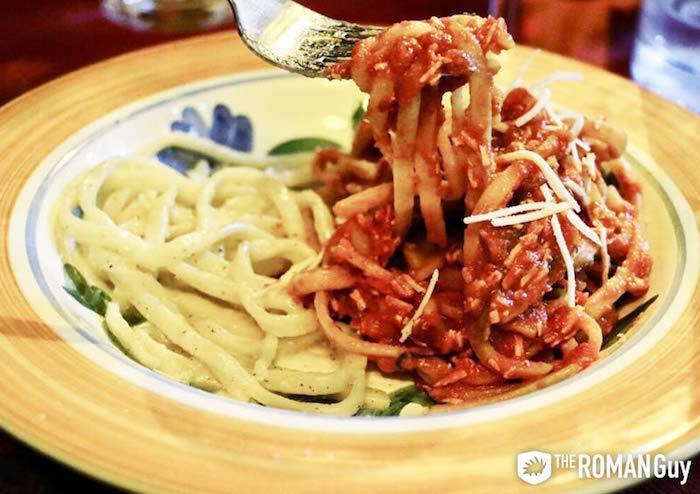 Call ahead to Ai Tre Scalini in Monti for an amazing slow lunch. Ask the waiter what they would eat and order a lot. Share plates and try it all! 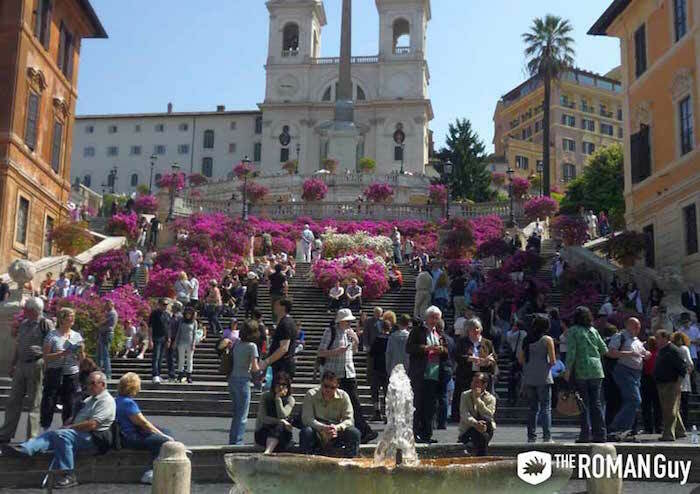 You can shop in Monti or shop near the Spanish Steps. Mont is more boutique-y and the Spanish Steps is flooded with stores. I like the Spanish Steps because they offer better priced menswear. There are a lot of great stores for men, but Spada is one I have grown fond of. It offers classic designs, colors and really affordable prices. Fashionable blazers cost around 130€. At this point you’re probably headed to the airport. Enjoy your stay and if you are from outside the EU make sure you claim tax free to get some money back! 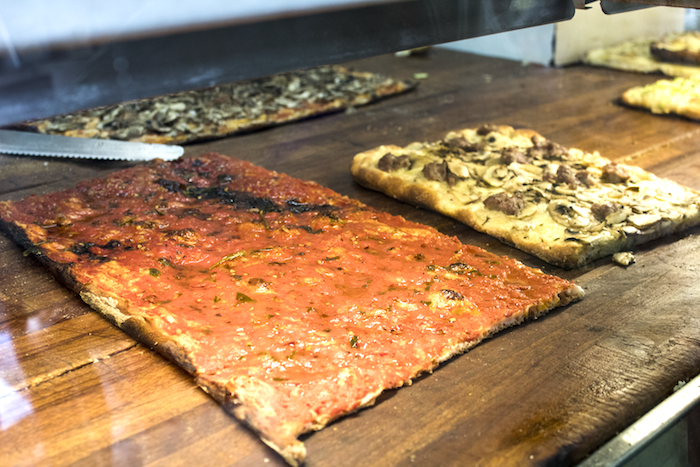 As an Italian-American I always dreamt of moving to Italy and getting in touch with my roots. I had Italian citizenship so I took a shot at it, fell in love with the place, and ended up staying. My dream had come true.. that was over 10 years ago. I've defined my life by following my dreams and making them a reality. Now I help other people follow their dreams for a living. I couldn't imagine doing anything else.